Siddhartha is using Smore newsletters to spread the word online. Pieter Brueghel the Elder was a Renaissance artist and to be more specific he was a painter. Peter Brueghel was born in Breda, Netherlands in 1925. Brueghel spent most of his time traveling to different places. Brueghel spent time studying and working in places like France, Italy, Antwerp, and he finally settled in Brussels. 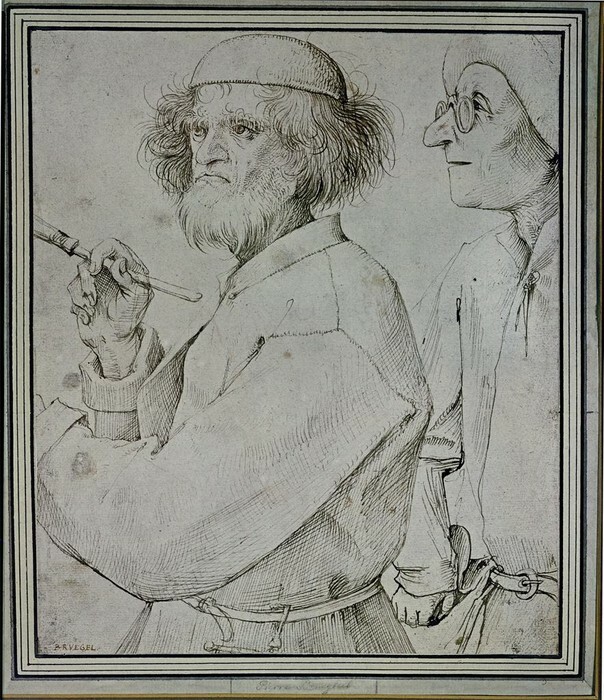 Pieter Brueghel served as an apprentice to Pieter Coecke van Aelst. He then married his master's daughter. Brueghel spent most of his life traveling. He traveled places like France and Italy to study the art and architecture there. He then finally settle in Brussels before his death in 1569. Brueghel created paintings during his life time. Some of his many paintings are The Return of the Herd, Tower of Babel, and Hay Making. 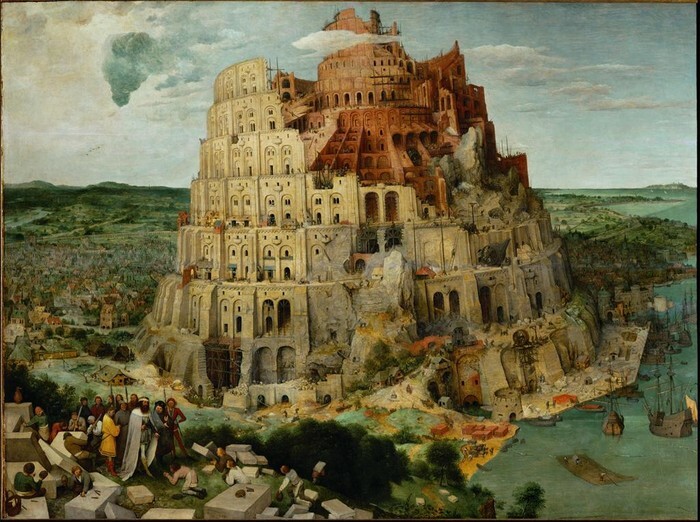 Pieter Brueghel had 3 main patrons they were Antione Perrenot Cardinal de Grainvelle president of the council of state, Niclaes was Brueghel's greatest patron, and Abraham Ortelius. The piece haymaking was created in 1565. The piece currently resides in Prague Castle part of the Lobkowicz family collection. This piece is significant because it represents the pinnacle of western art. 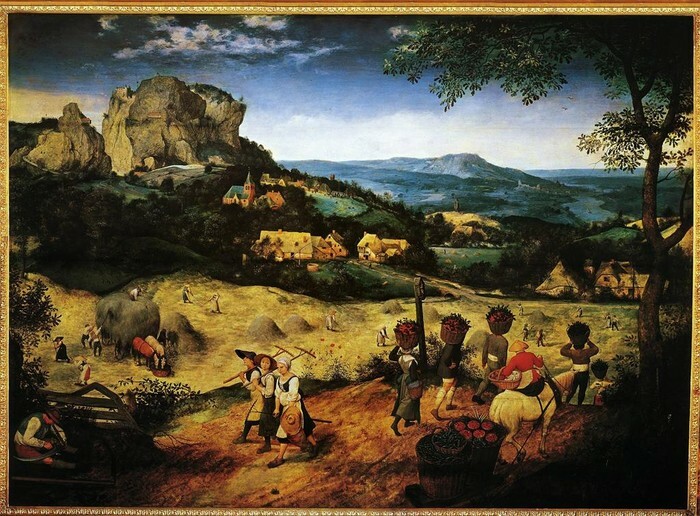 This piece is part of a series of painting by Brueghel that show the year passing. This painting shows peasants in perfect harmony with nature. Brueghel also elevates the ordinary lives of these peasants and makes it almost heroic and ordinary. The reason that I like this piece is because of its vanishing point and how it draws you to focus on a part of the picture. I also like this picture because it makes me feel a bit melancholy, and any good piece of anything should evoke some sort of emotional response. It relates perspective because there is a single vanishing point near the river and there is depth to the image. The mountain in the background looks 3-dimensional and so do the houses. The painting is also receding. "Pieter Bruegel, the Elder." Encyclopedia Britannica Online. Encyclopedia Britannica, n.d. Web. 03 Dec. 2015. "Pieter the Elder Bruegel Biography." Pieter the Elder Bruegel Biography. N.p., n.d. Web. 03 Dec. 2015. Painter and Patron. Pieter Bruegel 1. 1565. ARTstor[online]. New York: New York. [cited 3 December 2015]. Available from World Wide Web: (https://www.artstor.org). Tower of Babel. 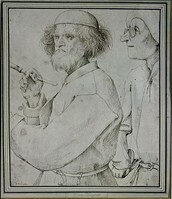 Pieter Bruegel 1. 1563. ARTstor[online]. New York: New York. [cited 3 December 2015]. Available from World Wide Web: (https://www.artstor.org). Return of the Herd. Pieter Bruegel 1. 1565. ARTstor[online]. New York: New York. [cited 3 December 2015]. Available from World Wide Web: (https://www.artstor.org). Hay Making. Pieter Bruegel 1. 1565. ARTstor[online]. New York: New York. [cited 3 December 2015]. Available from World Wide Web: (https://www.artstor.org).